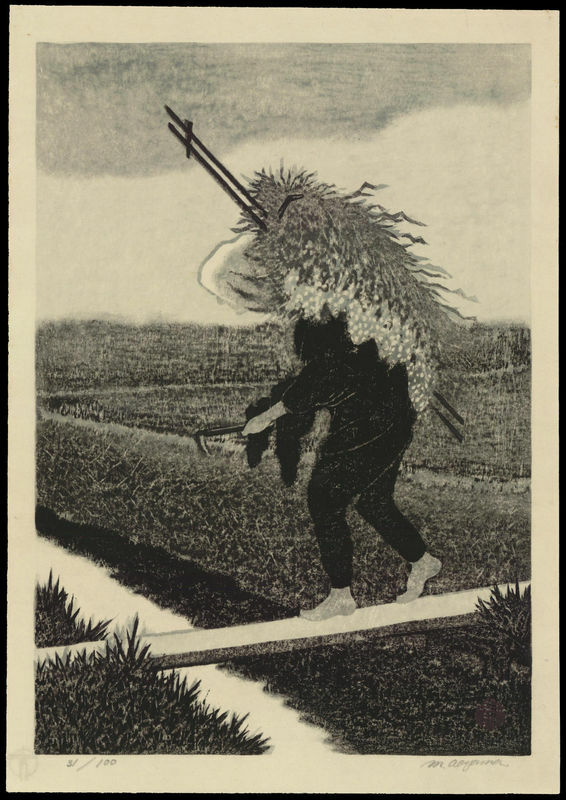 Aoyama, Masaharu "Peasant" - Woodblock - Chinese and Japanese woodblock prints for sale, silkscreen, scrolls, watercolor, lithographs. Artwork Details for Aoyama, Masaharu "Peasant"
Condition: Fine condition. Full margins. Never framed. No condition problems to note. Notes: Limited edition 31/100. Edition number at left of bottom margin. Artist seal within image area and artist signature in bottom margin at right.